The latest edition of our newsletter ‘Brainwave’ is now available to download. Learn about the clinical trials and much more. 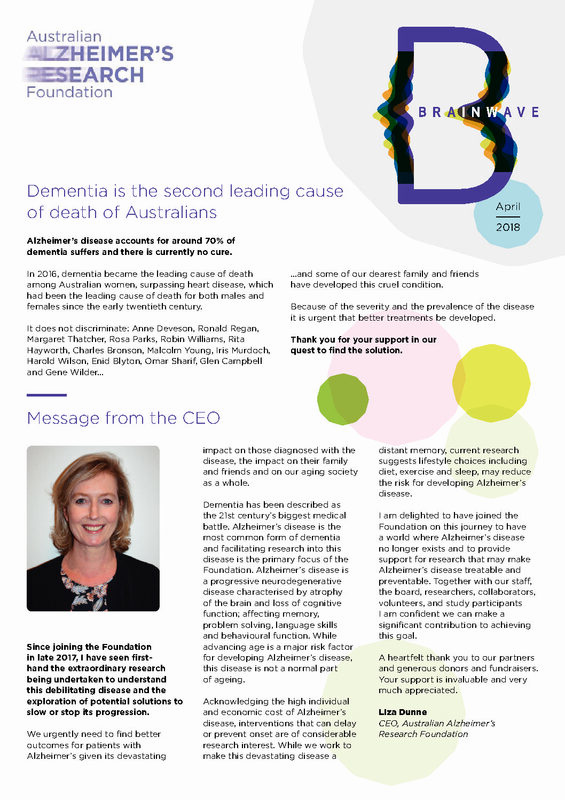 If you would like to receive the Foundation’s newsletter to find out more about Alzheimer’s disease research sign up to our mailing list here.